RK Nagar By-Election Result 2017: Losing the high-profile RK Nagar assembly constituency, is being viewed as a setback for the E Palaniswami-led AIADMK and will send a message that him and his deputy O Panneerselvam might not be in complete control after the split from the Sasikala-Dhinakaran camp. The AIADMK have fielded senior leader E Madhusudanan, who has held the seat before. A loss at RK Nagar would also be a jolt for the DMK, whose working president MK Stalin had campaigned aggressively ahead of polling day. RK Nagar Bypoll Result: TTV Dhinakaran won RK Nagar seat with over 40,000 votes. 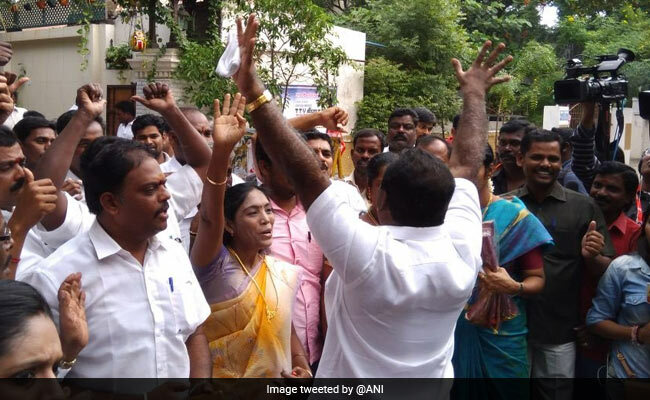 Chennai: The result of the by-election for Chennai's RK Nagar assembly constituency, which fell vacant after the death of former Tamil Nadu Chief Minister J Jayalalithaa last December, were declared today. Independent candidate TTV Dhinakaran, who was sidelined from the AIADMK by the EPS and OPS faction, won the prestigious and much-sought-after RK Nagar assembly seat. TTV Dhinakaran was evicted from the AIADMK along with VK Sasikala following a deal between AIADMK's factions led by E Palaniswami (EPS) and former Chief Minister O Panneerselvam (OPS), as they merged in August. Mr Dhinakaran and Ms Sasikala have challenged that decision and claim to lead the real AIADMK, though their support within the party is dwindling. Even the Election Commission awarded the AIADMK's 'two-leaves' party symbol to EPS and OPS, calling them the real AIADMK, but the Sasikala-Dhinakaran camp have stood their ground. Claiming victory after the initial rounds of counting, Mr Dhinakaran, who took a virtually unassailable lead of over 45,000 votes, said: "We are the real AIADMK. People of RK Nagar have voted Amma's successor." He went on to say that his projected win in the RK Nagar bypoll was "(the) best gift to (party founder) MGR and Amma (Jayalalithaa)." 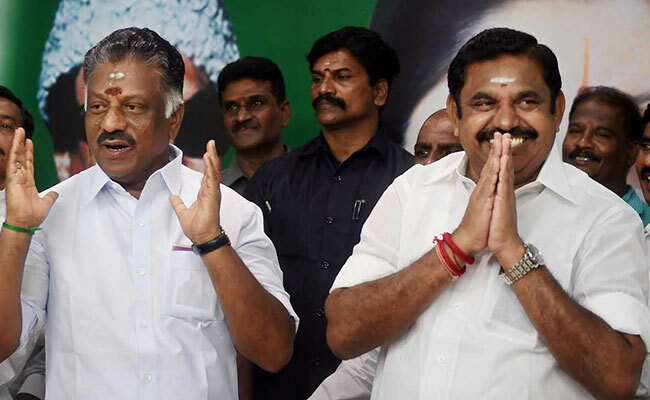 Losing the high-profile RK Nagar assembly constituency, would be considered a setback for the E Palaniswami-led AIADMK and will send a message that him and his deputy O Panneerselvam might not be in complete control after the split from the Sasikala-Dhinakaran camp. The AIADMK have fielded senior leader E Madhusudanan, who has held the seat before. A loss at RK Nagar would also be a jolt for the DMK, whose working president MK Stalin had campaigned aggressively ahead of polling day. The DMK, which also had support from the Left parties and MDMK, is trailing at third place. MK Stalin chose RK Nagar resident and lawyer by profession Marudhu Ganesh as the DMK's candidate. Voting for the high-profile RK Nagar constituency was held on December 21, and saw a record 77 per cent turnout in the by-election. After TTV Dhinakaran's massive win, AIADMK blamed the RK Nagar fiasco on the secret pact between TTV Dhinakaran and M.K.Stalin. M.K Stalin has betrayed DMK by diverting votes to Dhinakaran, the party said. The DMK hasn't secured even it's loyal vote share. It exposes secret pact, it added. 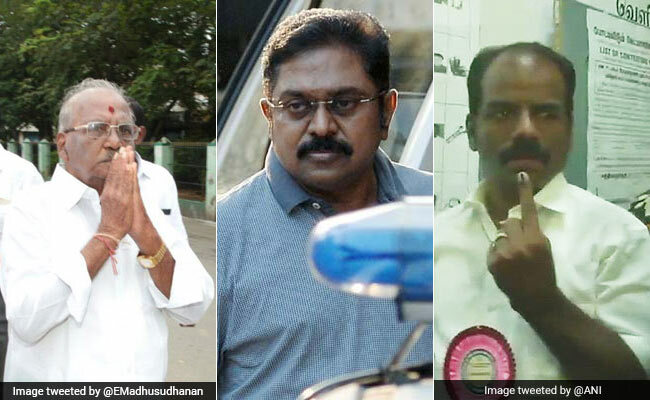 The party further alleged Dhinakaran bribed voters, promised to pay Rs 10,000 for every vote after polls. The party is of the view the defeat wouldn't affect AIADMK. "It's a victory for all. This government will not be here for two more months. Two leaves symbol was a victory symbol when it was with amma. But now it's with villains, how can they win: TTV Dhinakaran after his victory in," TTV Dinakaran was quoted as saying by the ANI after he won the crucial constituency. Karu Nagarajan, the BJP candidate, got a meagre 1,417 votes in the RK Nagar bypoll. 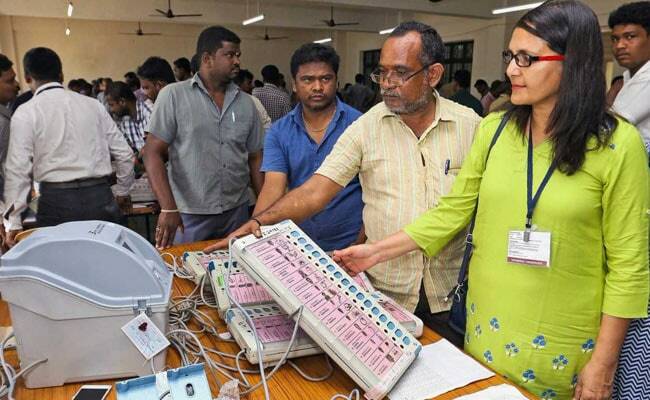 While the BJP does not have a strong presence in the state, the by-election result further embarrassed the party as more people pressed the EVM button for None of the Above (NOTA) than the saffron party's candidate. As many as 2,373 voters in the assembly constituency chose the NOTA option. T T V Dhinakaran today won the prestigious RK Nagar assembly bypoll by a thumping margin of over 40,000 votes. Mr Dhinakaran bettered the record of Jayalalithaa, who had won by a margin of 39,545 votes in the 2016 Assembly polls. The DMK lost deposit as the party did not secure 1/6th of votes polled. Independent Candidate TTV Dhinakaran polled 89,013 votes. AIADMK's Madhusudhanan got 48,306 votes. TTV Dhinakaran wins by-election for Chennai's RK Nagar, left vacant by Jayalalithaa's death, in huge blow to ruling AIADMK. Independent Candidate TTV Dhinakaran leads after the sixteenth round with 76,701 votes. Leads nearest rival by 35,175 votes. Independent Candidate TTV Dhinakaran leads after the fifteenth round with 72,413 votes. Leads nearest rival by 33,447 votes. RK Nagar By-Election Result - Latest Leads: Rival AIADMK leader and independent candidate TTV Dhinakaran gets 72,413 votes at the end of the 15th round of counting of votes for Chennai's RK Nagar bypoll. AIADMK's E Madhusudanan gets 38,966 votes, while DMK's N Marudhu Ganesh gets 20,388 votes. RK Nagar By-Election Result - Latest Leads: Rival AIADMK leader and independent candidate TTV Dhinakaran gets 64,984 votes at the end of the 13th round of counting of votes for Chennai's RK Nagar bypoll. AIADMK's E Madhusudanan gets 33,446 votes, while DMK's N Marudhu Ganesh gets 17,145 votes. TTV Dhinakaran, who has been sidelined by AIADMK leaders E Palaniswami (EPS) and his deputy O Panneerselvam (OPS) said today that he is contesting the RK Nagar by-election as an Independent candidate, but he has the support of AIADMK party workers and supporters. Continuing to stake a claim of being the "real AIADMK", Mr Dhinakaran, who is from the Sasikala faction, said "I also have Amma (Jayalalithaa) with me". TTV Dhinakaran was evicted from the AIADMK along with VK Sasikala following a deal between AIADMK's factions led by E Palaniswami (EPS) and former Chief Minister O Panneerselvam (OPS), as they merged in August. Mr Dhinakaran and Ms Sasikala have challenged that decision and claim to lead the real AIADMK, though their support within the party is dwindling. 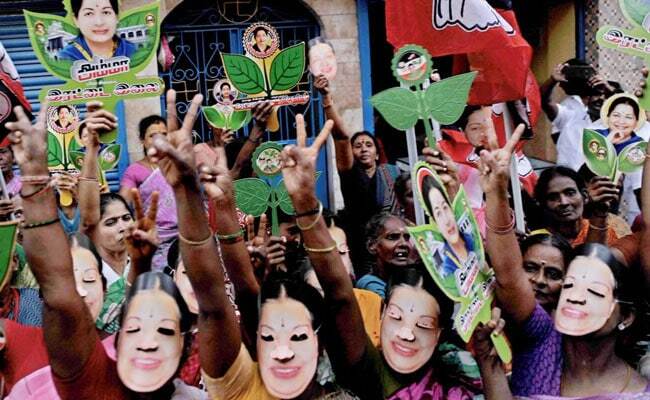 Even the Election Commission awarded the AIADMK's 'two-leaves' party symbol to EPS and OPS, calling them the real AIADMK, but the Sasikala-Dhinakaran camp have stood their ground. 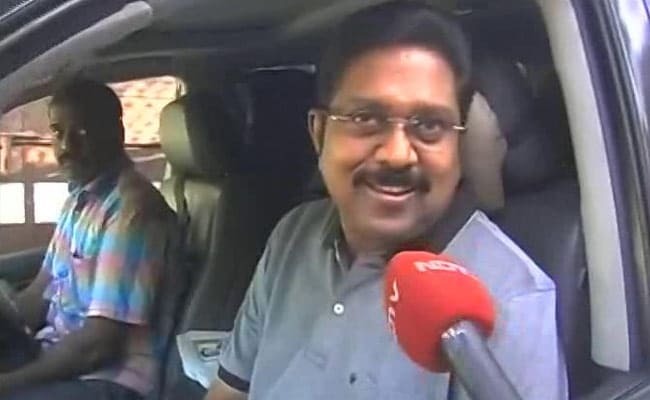 Set for a massive win in the high-profile RK Nagar by-election in Chennai, TTV Dhinakaran, who was in Madurai this morning, arrived in Chennai. His supporters have been celebrating his projected victory with fervour. TTV Dhinakaran, who arrived in Chennai over an hour ago, paid floral tributes to late AIADMK founder MG Ramachandran on his 30th death anniversary at MGR memorial in Marina Beach. Remembering the founder of the AIADMK on his death anniversary, Mr Dhinakaran said, "This is the best gift for the 1.5 crore party supporters". The late Chief Minister MG Ramachandran is fondly addressed as MGR. Just In: After round eleven, Independent candidate TTV Dhinakaran has increased his lead over AIADMK's E Madhusudhanan and DMK's Marudhu Ganesh further. Mr Dhinakaran now leads his nearest rival by more than 26,300 votes. With such a big margin, Mr Dhinakaran looks set to comfortably win the high-profile RK Nagar seat, which was formerly held by Jayalalithaa. Claiming victory a few hours ago, Mr Dhinakaran said his projected win in the RK Nagar bypoll is "(the) best gift to (AIADMK founder) MGR and Amma (Jayalalithaa)." He even predicted that the ruling EPS government will "end in three months". Just In: After round eight, Independent candidate TTV Dhinakaran has increased his lead over AIADMK's E Madhusudhanan and DMK's Marudhu Ganesh. Mr Dhinakaran now leads his nearest rival by more than 20,000 votes. With such a big margin, Mr Dhinakaran looks set to win the high-profile RK Nagar seat, which was formerly held by Jayalalithaa. Claiming victory a few hours ago, Mr Dhinakaran said his projected win in the RK Nagar bypoll is "(the) best gift to (AIADMK founder) MGR and Amma (Jayalalithaa)." He even predicted that the ruling EPS government will "end in three months". 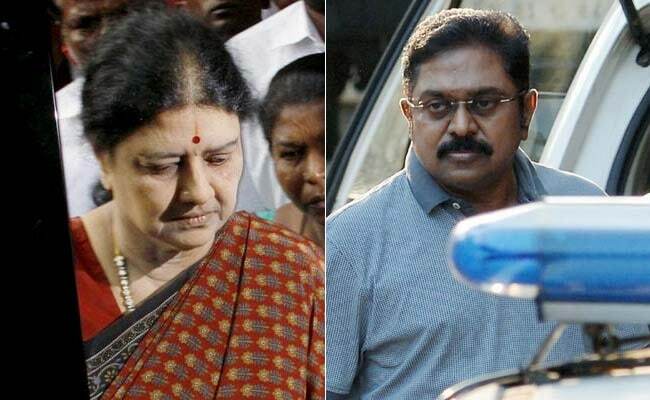 TTV Dhinakaran, 54, was pulled out of the cold and handed the reins of the party this February when his aunt, VK Sasikala - headed to a Bengaluru jail to serve her jail term - decided to run the party by remote control." AIADMK's E Madhusudanan, the only candidate in the race for the prestigious RK Nagar constituency in Chennai, to have won an election from this seat earlier. This was 20 years ago, in 1991, when he was inducted into party's patriarch J Jayalalithaa cabinet as the handloom minister." In selecting Marudhu Ganesh, also known as NM Ganesh, as its candidate, the DMK had hoped to send a message to the party cadre that ordinary workers too could rise to important positions in the party. Mr Ganesh comes from a family of DMK card holders; his mother was a municipal councilor between 1996 and 2001 when DMK working president M.K. Stalin was the Mayor." Just In: After round six, Independent candidate TTV Dhinakaran has taken his lead over AIADMK's E Madhusudhanan and DMK's Marudhu Ganesh to over 14,000 votes. He now looks set to win from the high-profile RK Nagar seat, which was formerly held by Jayalalithaa. Claiming victory a short while ago, Mr Dhinakaran called his projected win in the RK Nagar bypoll as "(the) best gift to MGR, Amma." Celebrations and cheer among supporters of TTV Dhinakaran, who is leading with more than 10,000 votes over his nearest rival - E Madhusudhanan of the AIADMK. The celebrations, during which people fed each other sweets and burst some firecrackers, also included some animated dance moves. See Mr Dhinakaran's supporters groove to the beat in the video below. Just In: After round four, Independent candidate TTV Dhinakaran has further extended his lead over AIADMK's E Madhusudhanan and DMK's Marudhu Ganesh. He now leads his nearest rival (AIADMK's Madhusudhanan) by more than 10,000 votes. RK Nagar By-Election Result LIVE: TTV Dhinakaran Claimes Victory, Says "Best Gift To MGR, Amma"; Predicts EPS Government Will "End In 3 Months"
TTV Dhinakaran has claimed victory after three rounds of counting in the RK Nagar by-election in which he leads AIADMK's E Madhusudhanan and DMK's Marudhu Ganesh by a sizeable margin. Speaking to reporters in Madurai, Mr Dhinakaran said, "This is the best gift for the 1.5 crore party supporters" on the 30th death anniversary of party founder, the late Chief Minister MG Ramachandran, fondly addressed as MGR. Speaking about the AIADMK's 'Two-leaves' symbol, which the Election Commission awarded to Team EPS and OPS, who represent the ruling AIADMK in the state, Mr Dhinakaran said, "We are the true AIADMK. A candidate determines the symbol. I have already said the 'Two Leaves' will be a success symbol only if it was with Puratchi Thalaivar (MGR) and Amma (Jayalalithaa). Will the people vote if it is handed over to MN Nambiar and PS Veerappa," he asked, amidst chuckles from his supporters. Mr Nambiar and Mr Veerappa are famous yesteryear movie villains, with the former being cast against MGR in many of the matinee idol's films. Mr Dhinakaran also said that the E Palaniswami (EPS) government will "end in three months." Meanwhile, jubilant supporters of Mr Dhinakaran celebrated by distributing sweets and bursting crackers, while exuding confidence that their leader would triumph with a thumping margin. After three rounds of counting of votes for the high-profile RK Nagar by-election, Independent candidate TTV Dhinakaran has taken a significant lead. The sidelined leader said a short while ago that the leads "showed that people want a change of regime." Mr Dhinakaran, who used to be number 2 of the AIADMK after his aunt VK Sasikala before being sidelined by EPS and OPS, said: "We are the true AIADMK. The people of RK Nagar have elected Amma's successor." The RK Nagar assembly constituency was a seat which was held twice by Jayalalithaa. She represented the seat till her death last year. Mr Dhinakaran downplayed the EPS and OPS camp winning the 'Two-Leaves' symbol of the AIADMK. Both camps -- EPS, OPS as well as Sasikala-Dhinakaran -- had staked claim for the party symbly before the Election Commission, which ultimately ruled in favour of Team EPS and OPS. 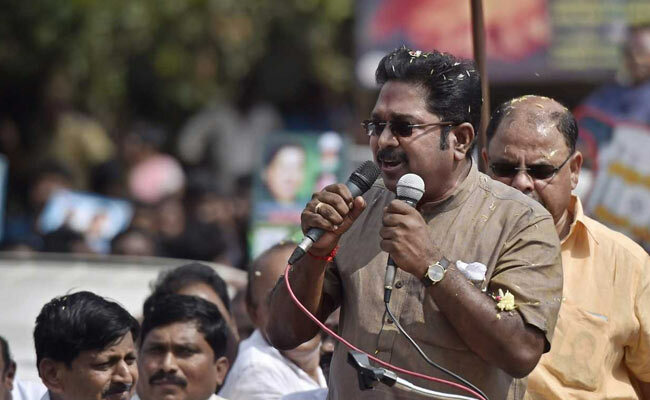 Speaking to reporters, Mr Dhinakaran said, "During my recent visits to various parts of Tamil Nadu such as Avinashi (Tirupur) and Arumanai (Kanyakumari), people said that the pressure cooker (his poll symbol at RK Nagar) will win. They want a change of this regime," he said. TTV Dhinakaran's statement to reporters in Madurai came in response to the early leads he had taken against his AIADMK rival E Madhusudhanan and DMK's N Marudhu Ganesh. Just In: After round three, Independent candidate TTV Dhinakaran, who was sidelined by Tamil Nadu Chief Minister E Palaniswami and his deputy O Panneerselvam, extends his lead over AIADMK's E Madhusudhanan and DMK's Marudhu Ganesh. 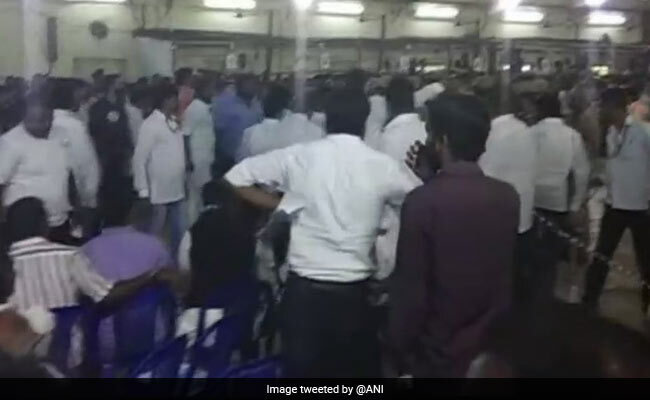 Counting of votes for the high-profile RK Nagar by-election in Chennai was temporarily disrupted this morning after an alleged altercation between supporters of Independent candidate TTV Dhinakaran and AIADMK's E Madhusudhanan." Here are the details. Just In: After round two, independent candidate TTV Dhinakaran, who was number 2 of the AIADMK before being sidelined by EPS and OPS, extends his lead over AIADMK's E Madhusudhanan and DMK's Marudhu Ganesh. Some exit polls had indicated an edge for TTV Dhinakaran, which seems to be coming true as Mr Dhinakaran increases his lead over AIADMK's Madhusudhanan and DMK's Marudhu Ganesh in the high-profile RK Nagar bypoll. Despite trailing, the ruling AIADMK and the opposition DMK have expressed confidence that they would win the seat. Jayalalithaa represented the seat twice and it is crucial for her party, the ruling AIADMK, to retain it to establish that Chief Minister E Palaniswami and his team are in control. The party fielded veteran E Madhusudanan, who held the seat earlier and has influence among Telugu people who have a sizeable presence in Chennai's RK Nagar. VK Sasikala, who is currently in jail in a corruption case and her nephew TTV Dhinakaran, had been fighting for control of the ruling party but lost to Chief Minister E Palaniswami (EPS) and his deputy O Panneerselvam (OPS). TTV Dhinakaran was evicted along with VK Sasikala following a deal between AIADMK's factions led by Mr Palaniswami and former Chief Minister O Panneerselvam as they merged in August. Mr Dhinakaran and Ms Sasikala have challenged that decision and claim to lead the real AIADMK, though their support within the party is dwindling. During the campaign in Chennai's RK Nagar, the AIADMK accused Team Sasikala of hiding the facts of Jayalalithaa's illness and death. They countered the charges by releasing a video of Jayalalithaa at the hospital to establish that she was alive and recovering. However, the Election Commission ordered TV channels to take the video off air, calling it a violation of the poll code. Earlier this month, TTV Dhinakaran had lost the AIADMK's 'two-leaves' election symbol to the faction led by chief minister E Palaniswami and his deputy O Panneerselvam after the Election Commission recognised them as the "real" party. The sidelined AIADMK leader contested with a 'pressure cooker' as his election symbol. The RK Nagar by-election was shadowed by allegations of bribing voters with cash and gifts. The Election Commission, however, had refused to postpone the election despite pleas from the opposition DMK. The RK Nagar bypoll was postponed in April this year over allegations that the faction of jailed AIADMK leader VK Sasikala paid Rs. 89 crore to voters to buy support for its candidate and her nephew TTV Dhinakaran. Making it a triangular contest, the DMK fielded Marudhu Ganesh, a little-known lawyer but an RK Nagar local who is seen by many as a strong candidate. While the BJP has fielded a candidate too, the Left parties and the MDMK are supporting the DMK, which wants to win RK Nagar to deliver a big psychological blow to the AIADMK and reinforce its claim that the ruling party has lost popular support after the death of Ms Jayalalithaa only months after she led her party to a big win in the assembly elections last year. Just In: Round two of counting over, updated figures and leads expected shortly, say election officials. Counting for round three begins. Supporters of TTV Dhinakaran, who has 5,339 votes after round one of counting, have started celebrating as he takes a the lead over AIADMK's E Madhusudhanan who has 2,738 votes. DMK's Marudhu Ganesh is trailing in third place with 1,181 votes. 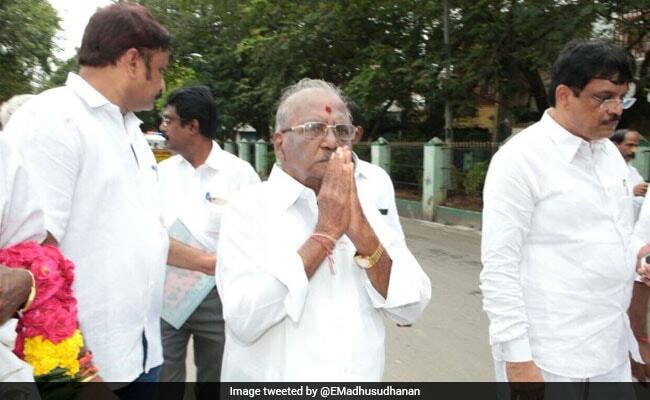 Despite trailing by nearly 3,000 votes, AIADMK candidate E Madhusudhanan says he is "confident that we will win in the end." Initial trends during the counting of votes at Chennai's RK Nagar show TTV Dhinakaran leading the race, followed by the ruling AIADMK in second place and DMK in third. 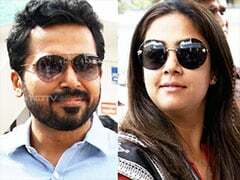 Mr Dhinakaran is the nephew of VK Sasikala, the longtime companion of Jayalalithaa, who represented the seat in the Tamil Nadu assembly till her death in December last year. Mr Dhinakaran, who laid claim to Jayalalithaa's legacy, split from EPS and OPS. He is contesting as an Independent. The Election Commission had concluded that it was the EPS and OPS led faction of the AIADMK, which was the real AIADMK as it had greater support from party leaders and MLAs. A record 77 per cent voter turnout was recorded in the election that was held on Thursday. Election officials said the figure was the highest since 2011. During the 2016 assembly elections, around 67.6 per cent polling was recorded. Results are expected to be out by noon. 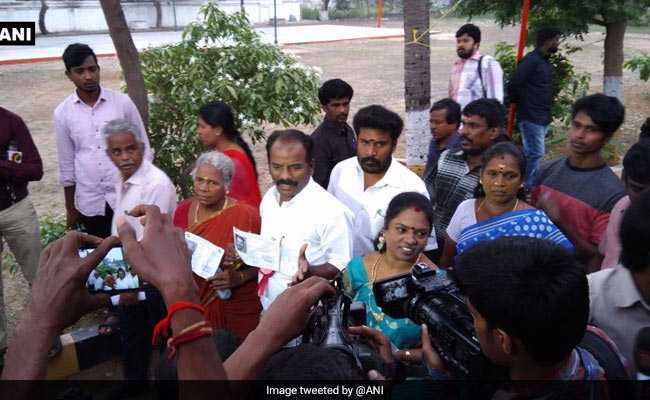 Campaigning for the high-profile RK Nagar assembly constituency in Chennai had ended on Tuesday amid allegations of bribery and circulation of unverified videos of notes distribution. The Election Commission has refused to postpone the by-election further despite pleas from the opposition DMK. But the Election Commission said there was no proof. The RK Nagar by-election had been postponed in April this year over allegations that the faction of jailed AIADMK leader VK Sasikala paid Rs. 89 crore to voters to buy support for its candidate and her nephew TTV Dhinakaran. Voting was held on December 21 as scheduled by the Election Commission. Just In: Initial leads show sidelined AIADMK leader TTV Dhinakaran, who was number 2 of the party and the nephew of Jayalalithaa's long-time companion VK Sasikala take a lead over AIADMK's E Madhusudhanan and DMK's Marudhu Ganesh. While the AIADMK have fielded senior leader E Madhusudanan, who has held the seat before, the main opposition in Tamil Nadu - the DMK has fielded Marudhu Ganesh. DMK working president MK Stalin said on voting day that he was certain that his party would emerge victorious in the RK Nagar bypoll. Voting for the high-profile RK Nagar constituency was held on December 21, and saw a record 77 per cent turnout in the by-election. Just In: Counting of votes for the RK Nagar assembly constituency begins. Result expected by noon. RK Nagar By-Election Result: Will EPS, OPS Be Able To Retain Jayalalithaa's RK Nagar Seat? Or Will DMK Triumph Over AIADMK? 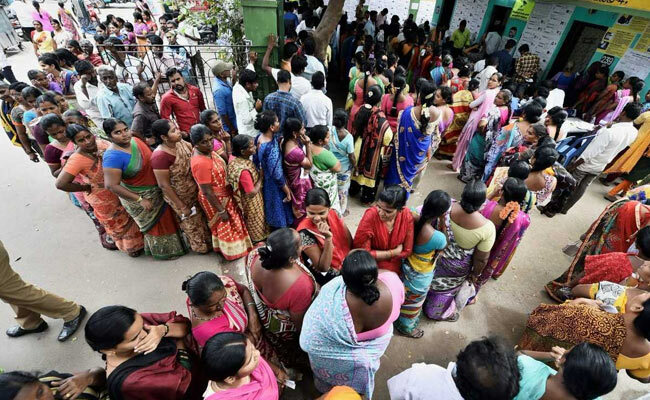 The result of the by-election for Chennai's RK Nagar assembly constituency, which fell vacant after the death of former Tamil Nadu Chief Minister J Jayalalithaa last December, will be declared by noon today. The AIADMK says it is confident of a win, which will help establish that Chief Minister E Palaniswami and his team are in full control.